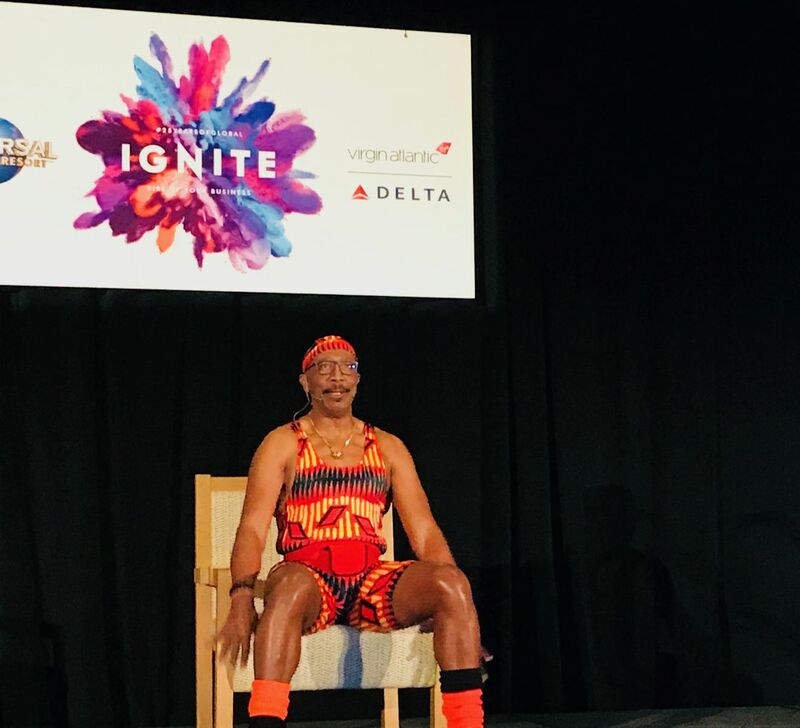 Former GMTC fitness instructor Mr Motivator made a typically brightly-coloured lycra-clad appearance at this week's Global Travel Conference in Orlando. 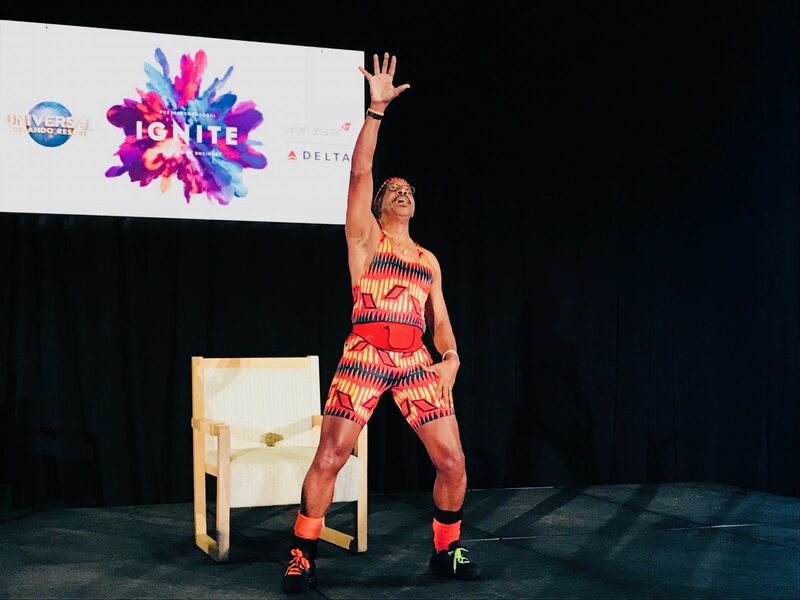 Here are his top tips to improve your health and mobility in the workplace. - When you get up from a chair, bring your heels back, look into the corner of the room then stand up with your palms resting on your thighs. Do the same with your palms when you sit down.